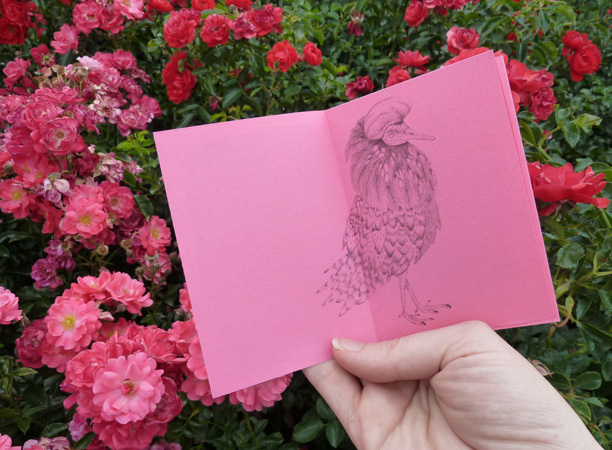 A 21cm X 30cm (folded to 7.5cm X 10.5cm in proportion), B&W zine on bright pink paper. 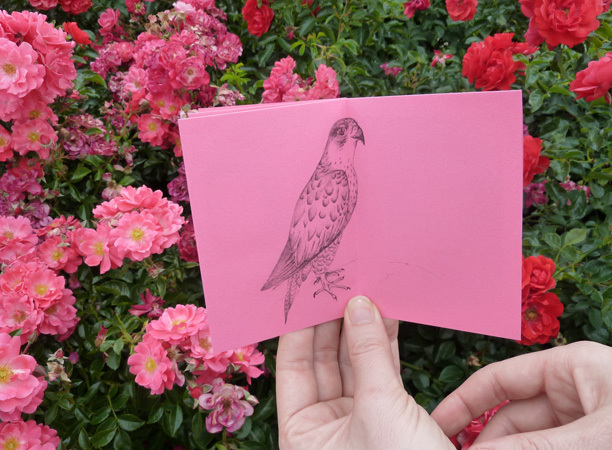 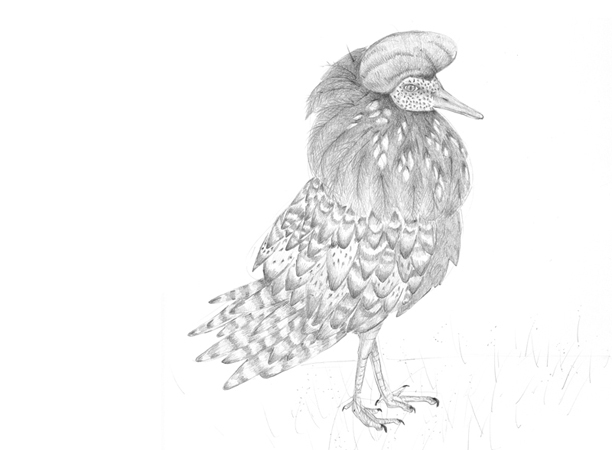 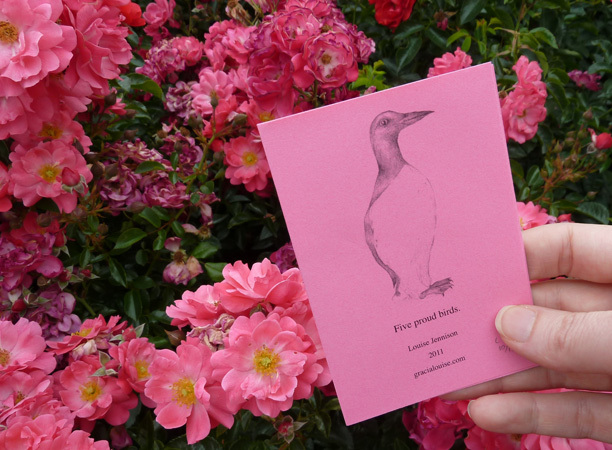 This zine features pencil drawings of a Guillemot standing tall; a Southern crowned pigeon from New Guinea; a Black-throated diver on its way to the Pacific Coast of North America; an aptly named Ruff replete with Elizabethan style snowy neck ruff of grand proportions; and a Peregrine falcon deep in thought. 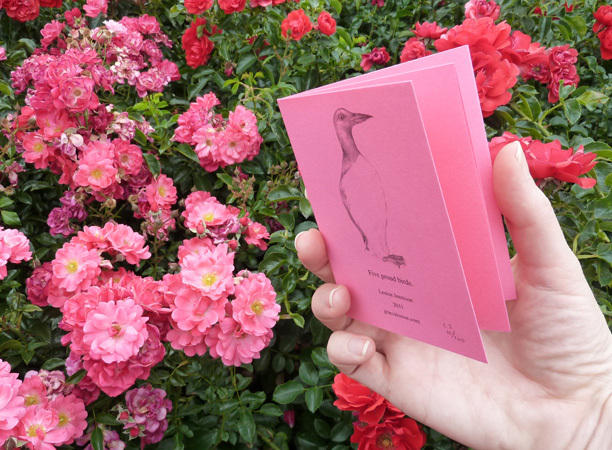 It was, for a period, available as part of the set One more than three.